A story where a young boy embarks on an incredible journey alongside his doll, given to him by his mother. As the story progresses the history of the mysterious doll is revealed and throughout the story more and more is discovered about this unique toy. John loses connection with a meaningful person in his life, which is his Mom, because of the divorce. The story also contains scenes with several … family members that provide a meaningful impact on John's life. John admires some of these characters more than the others, but the one he shows absolutely no passion towards is his stepmother. He ends up moving in with his dad and his wicked stepmom. After a specific occurrence, he ends up not being able to talk and no one knows why. Every time he opens his mouth, gibberish comes out. His parents look into this mysterious problem, but no one can figure out the reason behind his disability. Several incidences throughout the story cause the little John to despise his stepmom more and more, thus eventually messing up the relationship with his dad. The stepmom's tactics and strategies finally help her in succeeding to turn John's own blood against him. This burning rage becomes instilled into John's mind, causing him to make some irrational decisions towards his doll. 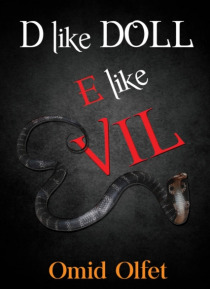 As if the doll's life was somehow intertwined with the stepmother's, the same results rained down on his stepmom. The author manages to end the story with the reader knowing what happened but still having some questions.